Officine Panerai has become Panerai for the whole world. The Italian brand Panerai is inseparable from each model of watch that has built its reputation: Panerai Luminor watches and Panerai Radiomir watches. It was on the occasion of the invention of these two luminescent materials, Luminor and Radiomir, that Panerai built a collection of steel and gold watches, designed for diving and water sports and having won numerous awards in these disciplines. Luminor watches and Radiomir watches were thus declined as variations of Submersible, Marina, GMT, Black Seal watches, known under the so-called "PAM" references that collectors know by heart, as well as each occasion for which they were revealed, their price, delivery time, as well as their specific features, in particular the crown: at Panerai, each watch model can notably be distinguished by its "PAM" reference but also by its crown. On some watch models, the crown is on the right, but on others, the crown is on the left. This change of position of the crown is designed to free one of the wrists to carry other diving instruments than the Italian Panerai watch - such as a depth gauge. Each new watch from the Italian manufacturer Panerai is studied in the light of this principle, which also has an influence on its rarity, price and design. The models of the Italian manufacturer with a crown on the left, Luminor or Radiomir, are among the most sought-after watches, steel or gold, and it is rare to have the opportunity to have one delivered. With its Luminor watches and Radiomir watches ("PAM"), the Italian Officine Panerai has created two collections of watches that demonstrate on every occasion that the diver's watch can also adapt, according to its model, to the land and compete with luxury watches designed for it. Luminor and Radiomir have also been the subject of a very intense replication strategy. Even if each individual replica is worth almost nothing, a replica copies a model that is as expensive as it is justified. With its gold or steel cases, Officine Panerai has thus shown that Luminor and Radiomir can occasionally be luxury watches, "PAM" capable of aligning the same arguments as luxury watches not intended for diving. The ones Giovanni Panerai had designed in Florence were, on the other hand, the perfect opportunity for the navy to demonstrate their robustness at any price, whether for military, professional or personal use. Often, on a PAM model reserved for a specific occasion, the material of the case and bracelet will make the difference, as vintage watchmaking, for example, does not have its place, because of its sound, during a military exercise. The movement of the Luminor and Radiomir watches has been manufactured for several years - a development obtained at the price and during a major reorganization of the Officine Panerai. A movement manufactured on a Luminor or Radiomir watch always represents an opportunity for added value in the world of luxury, just as a gold or platinum bracelet is more appreciated than a leather bracelet, for an equally higher price. With these new in-house movements, Officine Panerai has developed for each watch a movement with GMT-type complications, or power reserves of two days up to eight days, an autonomy acquired at the price of reworked barrels for each watch that occasionally benefits from them. Nevertheless, on one or more models within each collection, such as the Submersible, Black Seal, GMT, Marina or other PAM references, Officine Panerai offers a vintage leather or calf bracelet on its steel case or its case made of another material. The delivery of these models met with the public's vintage enthusiasm and the Luminor and Radiomir watch models benefited - as did the many other PAM references. The price of these watches is also lower than that of the other PAM Luminor or Radiomir watches with a gold or steel bracelet model, the delivery of which remains for discerning collectors. In the end, for each Officine Panerai watch, between the choice of price, materials (such as steel or gold), strap, model variation (GMT, Eight Days, Marina, Black Seal, Submersible, etc.) and the choice of materials (such as steel or gold). ), vintage or non-vintage orientation, leather strap or steel or gold bracelet, hand-wound or automatic winding, there is always the opportunity to find your PAM and enter, far from the replica, into the world of luxury watches from Officine Panerai. 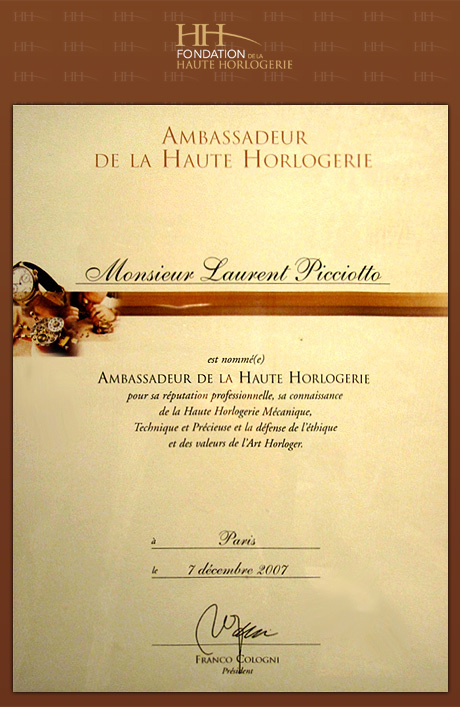 The delivery in Panerai store of his Luminor watch or Radiomir watch, will remain a rare moment appreciated by all.